Does Yours Meet FAA Training Requirements? Recently, the status of FAA-approved personal computer-based aviation training devices (PCATD's) was discussed with the FAA's Flight Standards' Certification Branch here at Headquarters. At issue was the apparent misunderstanding some people may have about the use and role of PCATD's in pilot training. According to the project manager for the introduction of PCATD's in pilot training, some pilots and flight instructors may not understand the provisions of the AC that explain how an FAA-qualified PCATD is to be used in an integrated ground and flight training program. 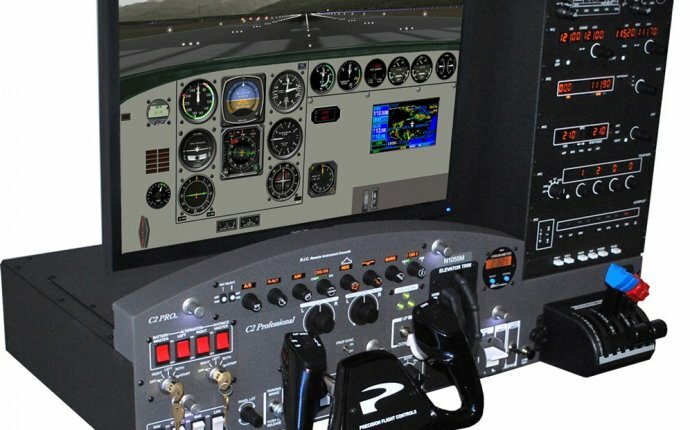 When the Advisory Circular (AC) 61-126, "Qualification and Approval of Personal Computer-Based Aviation Training Devices, " permitting the use of PCATD's in pilot training was released, it specifically outlined both what was permitted to be used as a FAA-qualified PCATD and how such an FAA-qualified PCATD could be used in pilot training. The how it could be used is simple. As the AC notes, an FAA-qualified PCATD can be used for up to a maximum of 10 hours of creditable instrument procedural flight instruction towards an instrument rating for airplanes in those tasks specifically outlined in Appendix 1 of the AC. Those hours, up to the 10 hours maximum authorized, have to be part of an integrated ground and flight instrument rating curriculum either under an FAA-approved FAR Part 141 training course, or if used under a FAR Part 61 training course, that FAR Part 61 training course must be an integrated ground and flight instrument rating curriculum meeting the scope and content of a course approved under FAR Part 141. However, FAA approval is not required for the FAR Part 61 course. So the use is limited to a maximum of 10 hours in an integrated ground and flight instrument curriculum under either FAR Parts 61 or 141. It is also important to remind everyone that instruction in an FAA-qualified PCATD must be given by an authorized instructor. There must also be a training plan for its use. What has apparently complicated this issue is what kind of PCATD can be used for that training. Although the AC outlines how a manufacturer of such training devices can get FAA approval for its respective device, there seems to be some confusion among pilots about how to tell if the device they may be using in training is in fact qualified by FAA. A good way to start is by reviewing what is an approved training device, what is an FAA-approved simulator, and what is a PCATD. At the bottom end of the spectrum is the old ground training devices many of which are now designated as Level One Flight Training Devices (FTD). There are seven levels of FTD's. At the other end of the spectrum are the very complex, state of the art, FAA-approved flight simulators. There are four levels of flight simulators. From the simplest Level A to the most complex Level D flight simulator with its full motion and visual capabilities, these devices constitute their own special category of FAA-approved equipment. Now let's talk about FAA-qualified PCATD's. By definition, a PCATD is not an FAA-approved flight training device or flight simulator. A PCATD is defined as a training device approved for a specific purpose by the FAA under FAR ¤61.4(c). Now let's speed this detailed explanation up so we end this article before the new millennium occurs (we just had to get that word in before we finished this explanation.). When FAA approved the use of PCATD's, it only approved specific hardware and software combinations from the four manufacturers that currently have [as of the date this article was being written] received FAA qualification for their respective systems. No other hardware or software computer-based combinations are approved by FAA to be used in an integrated ground and flight instrument rating curriculum. Although some readers have taken me to task before in other articles I have written about PCATD's, please let me say one more time that unless the specific PCATD by make, model number, designated software version, with all of the specified hardware as listed in the unit's FAA qualification documentation is available and functioning, then and only then can that unit be used in an integrated ground and flight instrument training curriculum up to the maximum of 10 hours of training as described in the AC. Having said that, that training in a fully functioning FAA-qualified PCATD must be given by an authorized instructor and an appropriate pilot training entry made by that authorized instructor in the student's log book. Of concern to FAA is the possibility that some pilots may have received training in non-approved systems. If so, the training time logged using such systems cannot be credited towards meeting the training requirement for an instrument rating as outlined in the FAR. Although thousands of pilots have and are using the various commercial PC-based flight programs available for sale, the time spent practicing "flying" on those non-FAA qualified systems cannot be used to meet any FAA required flight training requirement even if the training is being given by an FAA certificated instructor. The FAA is concerned that some instrument applicants may try to use such time and when their records are audited in preparation for the practical test, they will not meet the requirements for the instrument rating. To prevent such an occurrence from happening, each student using a PC-based training device should ask to see and then to check the unit's documentation to determine whether the unit being used is FAA-qualified and -approved for use under the terms of the AC. The time you save may be your own. More importantly, the money you save may also be your own. Each FAA-qualified PCATD will have as part of its documentation a complete list of all of its components, a copy of the qualification guide used to ensure its compliance with the AC, and a letter from the FAA's Flight Standards Service's General Aviation and Commercial Division, AFS-800, stating that the PCATD was qualified under the conditions of the AC for use in an integrated ground and flight instrument training program. The PCATD must be maintained and operated under the terms of the above documentation to retain that FAA qualification. Again, it is important that instrument applicants meet all training requirements for the instrument rating as outlined in the Federal regulations. An applicant who uses a PC-based flight simulation device in his or her training program, but who then fails to ensure that it is an FAA-qualified PCATD may fail their initial instrument check if the applicant does not meet all of the minimum training requirements without using the non-qualified PCATD training time. The best way to avoid that situation is by ensuring that the equipment used in all training is FAA-qualified or -approved for its intended use. Have a good lesson. How to Become a Navy fighter pilot?